So – from my first few posts you’ll see I’m exceptionally lazy efficient when it comes to back end processes. If it can be scripted/automated, then I’ll generally do that rather than keep a manual step. Right – as part of a I’ve-got-a-few-hours-spare-this-week-piece, I rewrote an overnight process. Primary goals for the rewrite were to remove hard coding where possible, segment the overnight process out to discrete tasks\components and add a hefty backup component. Obviously the Essbase side of a backup process is reasonably simple and flexible. 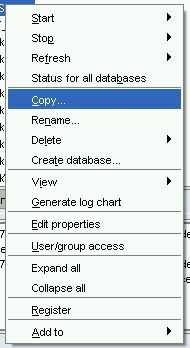 Database copies\dataexports\file system copies – you’ve got a plethora of options available. What about the ‘rest of it‘? In addition to the standard relational backups, I decided to see if I could automate an LCM export of the Planning application side – the theory being that between the LCM backup and the Essbase backup I could recreate any combination of an app. How does this all work then? LCM is quite an elegant tool – certainly compared to the earlier alternatives (I’ll give you a moment while you recover from the nightmarish memory of dataform migration pre v9!) Basically you first define a migration framework of the artifacts you wish to either export or import and then trigger it. So – a very basic export framework is shown below. This is going to export the entire application (Finance), including the Dataforms, Dimensions, Global Settings, Security & Relational data. I’m building this on 11.1.2.1 – hence it’s not going to include the BSO Essbase data – however later versions can also include a data export. Note: If you’ve built a fairly standard Planning application this is going to include pretty much everything you need, including essbase calc scripts, rules files and partitions. However! 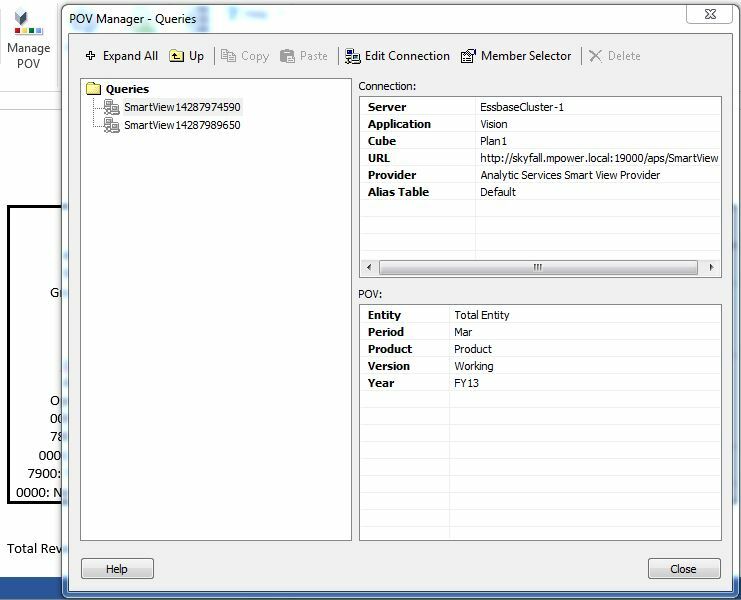 If you’ve used HSP_UDF to define member formulas directly in essbase, that’s not going to be included and you’ll need to backup the otl file separately. Don’t say I didn’t warn you. If there are items you don’t want to export (Security for instance) you can simply edit the lines out of this file directly. That being said, a simpler method of building this is to define and run an LCM export of the application with exactly what you’re chasing. Then download and open the export folder, and at the very top of the folder structure should be the Export.xml file. One final thing to notice in the Export (and Import Files) is that the Username and Passwords are cleared out every time they are run. This is important later when we try to automate this step. Now you’ve got your export definition sorted – the next step is to look at the automation steps. The LCM outline extraction utility (named, entertainingly, Utility) is held in the Foundation bin folder. On a standard install it should be Oracle\Middleware\user_projects\FOUNDATION1\bin. Unfortunately, this is one of those scripts that cannot be called directly from an external server (it internally attempts to parse the drive and folder locations), so you’ll need to use psexec to call it across servers. You’ll notice that in the string above you don’t have to define an output folder, just the location of the output. Sadly this isn’t because you’ve got some flexibility to add that to the XML file, or alternatively set an option somewhere in shared services, instead it’s because the LCM export will be directly to the filesystem location of the Export.xml file. Yep – wherever you’ve stored it is where the data will end up. In an upside, that can be across mapped network drives, so you store the files somewhere centrally rather than clogging up your foundation server! So – obviously with all of these back end scripting languages available we should choose something exoti….nah. This time we’re sticking with DOS batch. They didn’t call it the Quick and Dirty Operating system for nothing! Nice and simple – we’re calling the name of the application as per the naming convention in the LCM_XML folder. In addition the variables include a file system user and password to use with PSExec to make sure the Utility can write back to wherever you had the export.xml saved. If you’re running it directly from your foundation server and saving the LCM Exports you should be able to skip this – but it’s not going to hurt. Where the magic starts. Here the batch code removes and rebuilds the top level folder name under LCM_Export using the %App% variable name, and copies in the export file, renaming it to Export.xml. The final step is to trigger the Utility using PSexec. After the Utility is finished, 7zip is used to create a datestamped version of the LCM Export. As discussed earlier, I’m using 11.1.2.1 in this example, so I added compression it up in this step because by default it comes down uncompressed. Later versions (11.1.2.2+) are already compressed (or are they?? ), so compressing them further would likely only be useful to update the naming convention. The final step in this section will delete any of the zipped that are older than 3 days, but this could be updated to 30 (or more!) – just make sure you keep on top of your storage space requirements. Final steps, some basic cleanup and error handling – you could also add some error handling for messages directly back from the LCM Utility which will return the following error codes. And that’s it! A scripted and fully-automated way to take backups of LCM files. This can obviously be extended to other apps or even other artifacts (think Reporting\Shared Services\EPMA) by creating individual export.xml files, dumping them into the LCM_XML folder and simply calling them. For bonus points – the next step is automating the import side – thus giving you the ability to script a true sandbox\QA environment every night. A topic for another post! Full version of the code available below. Call "psexec.exe" /accepteula \\%webserver% -u %fsuser% -p %fspassword% %LCMUtil% "%backupfolder%\LCM_Exports\%app%_LCM\Export.xml"
:: Can be changed, but watch the space requirements! forfiles /p ..\Backup\AppBackups\ /m *.7z /d -3 /c "cmd /c DEL /Q @file"
Echo Runtime variables: "fsuser" "fspassword" "Env" "app"
Those who know me well know I’m not exactly prone to fits of exaggeration nor exuberance when it comes to pieces of new functionality that interest me. I definitely don’t go running around grabbing clients and workmates and saying ‘come and look at this! Isn’t it awesome!’. I also definitely never would spend a hungover Saturday writing it up and sending it out. So with that all out of the way. This is almost magical. Certainly awesome at the very least. Backtracking a little bit first. I was one of the holdouts with Smartview. Compared to the beauty and simplicity that was the excel add-in (particularly once you tweaked it a little), the bugs and functionality issues with early versions of Smartview (having to refresh before submitting??) held me off for ages. Even after changing over, I really wondered about some of the functionality / design choices that Oracle had made. One of the ‘functions’ that always threw me was the integration of Smartview into Word. 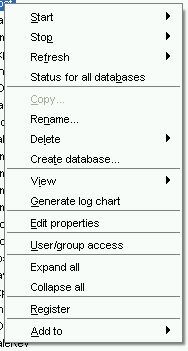 Certainly in the first few versions, this function had little to write home about – embedding Hyperion Financial Reports into word documents ‘kinda’ worked, but had issues: occasionally losing connections, and not being able to perform basic functions like resizing / cropping the embedded report without reconnecting all the sheets. As such, I’ve not seen an awful lot of it in the wild. That said, there is definitely a user desire to bring some Hyperion data into Word. Month end reports are generally a combination of upper level datasets and textual analytics, and generally a lot of time and effort goes into ensure the data is verifiable and consistent – all of which can be wasted effort if the underlying data sets aren’t sourced correctly. 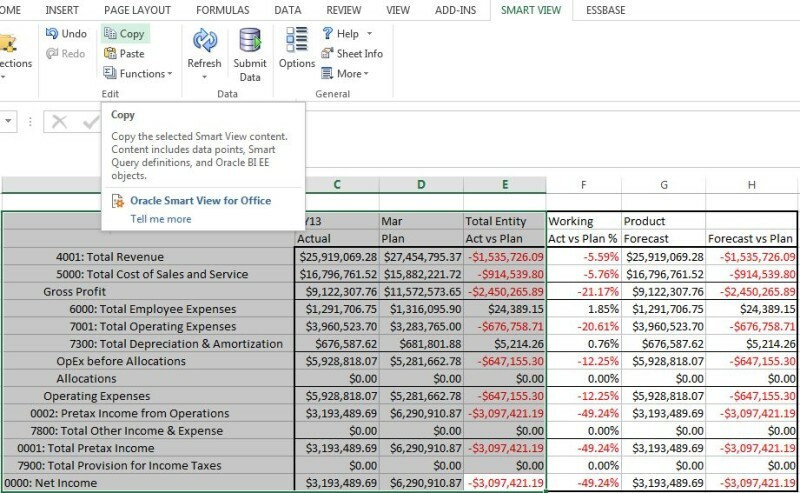 So – the ability to integrate Smartview functionality into both Excel and Word is clearly desired. Let’s have a look at some of the options. Really simply, this is what normally happens. Right, so lets look at the other option. Right, so we’ve got to get the users to do it themselves. 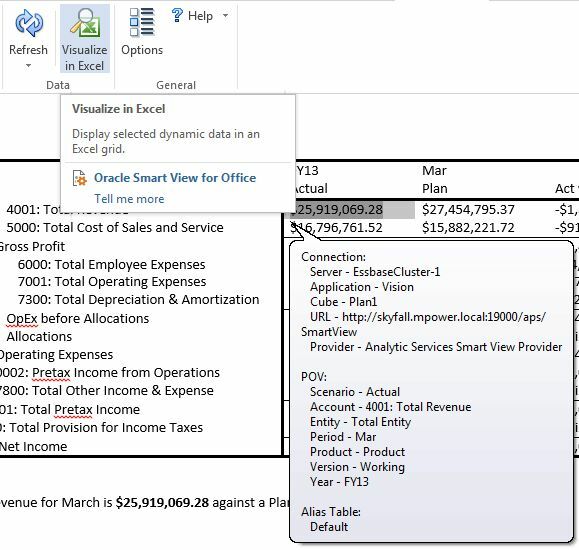 Let’s walk through the process of building a query in excel and mapping it across. You’ll note the Year and Month in the POV, as well as a nice selection of columns. From there, you want to select the components of the ad hoc retrieve that you wish to copy to Word. As can be seen, I’m only selecting the first few columns – nevertheless this is going to copy ALL of the associated metadata for the table – a fact that has very interesting repercussions later! Ta-da! 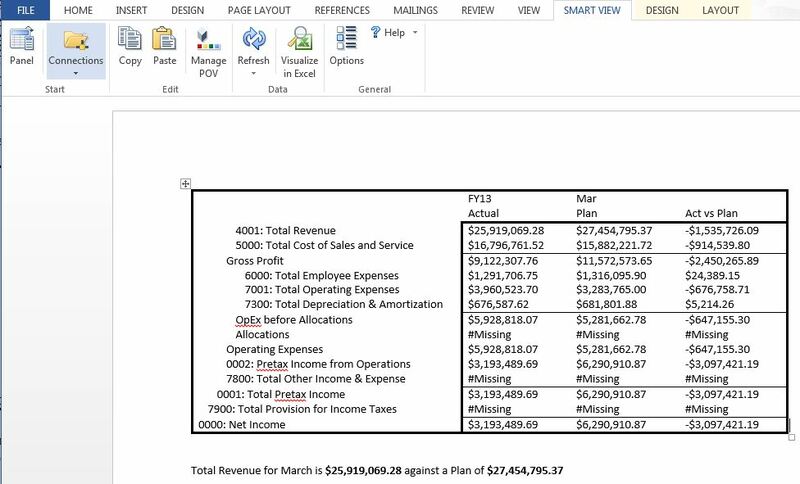 Excel ad hoc retrieve in Microsoft Word! Okay, so the format is a little ugly…but after some basic formatting. Awesome. Okay – now for those of you who were originally HFM users – the ‘#NEED_REFRESH’ will be of no surprise. Basically it’s rebuilt the query as discrete datapoints, everything is now HSGETVALUE with the full intersection. Hovering over the data item we can see further information as to what it’s doing – each cell has a direct link back, so you can change formatting, add columns, rows, headers etc and the individual queries will keep working. Refreshing the query will bring back all the data. So – I promised some magic. Earlier on I noted that when we copy the cells across the we are actually copying ALL of the metadata of the table, rather than just the discrete members. 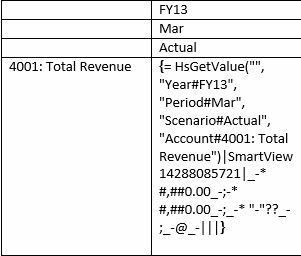 The interesting repercussion of that is that if you select any of the data cells and click on the Visualize in Excel button – it will go back and dynamically rebuild the original query in its entirety! I can just imagine the strokey beard meeting where that was decided! Anyway, as a piece of functionality it’s staggering. Basically you can build a full Management P&L report with detail in Excel – embed only the important lines in the Word document – but each of those lines contain the metadata to rebuild the entire report from scratch for further analytical queries! (And yes – even the inline text fields can do it). That’s all Fine and Dandy….What About Next Month? One of the nice features of Smartview in Word is the POV Manager. 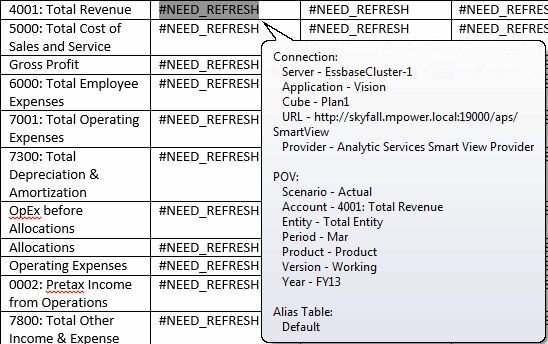 From here we can update the POV of the queries and it will refresh the data – this is reverse mapped to the Analyse in Excel function as well, so if you update to the next month in the POV Manager it updates in the full report. The POV manager is very simple, only allowing you to select a new member, and not giving you access to functions like SubVariables, user variables or even UDAs. Still – that analyse thing is pretty awesome. Imagine that strokey beard meeting where they decided to do that! Right – so we need a workaround. So – back to Excel. 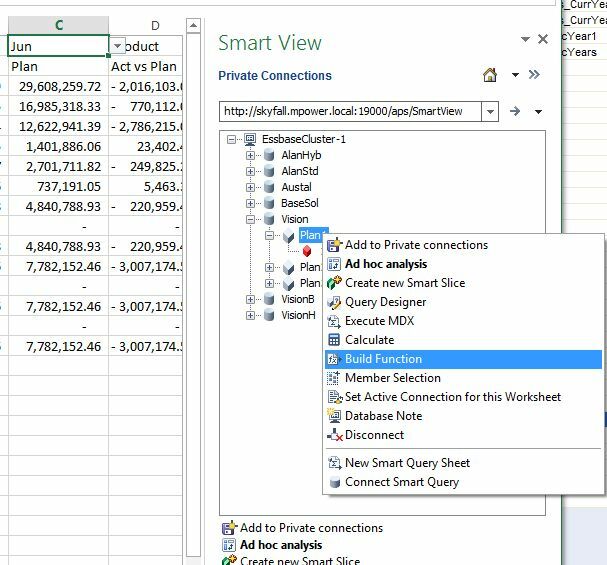 One of the ‘new features’ in Smartview (v11.1.1.3) which offered a benefit over the excel add-in was the ability to use a Subvariable in an adhoc query – basically you could write a sub variable name instead of a member name (prefixing it with an “&”) and it would re-render to be the variable value. The big issue with this was that the query would be updated at runtime, and be replaced by the member as a text field. If you went back and later updated the substitution variable through EAS, it wouldn’t then go and update the smartview retrieve (thus, basically defeating the entire purpose of the function in the first place). Fortunately, in a later version (v11.1.2.1? 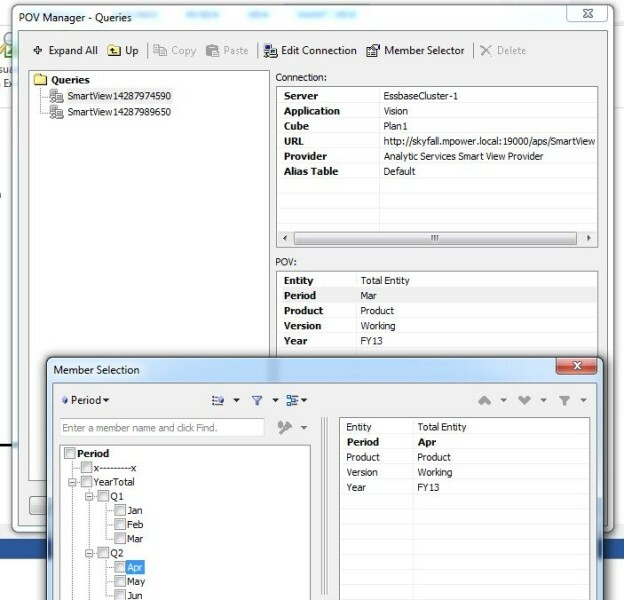 ), Oracle added the HSGetVariable member function. This is a very useful little function, as it provides the ability to add an on demand sub variable to an ad hoc query, but have it persist while retrieving. 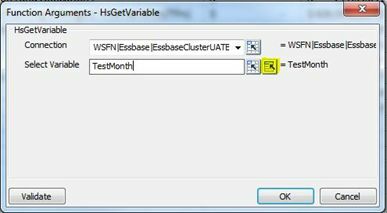 From there, you want to select the HSGetVariable Function, and then add the Variable. The yellow highlighted box will actually pull all the members into a list for you to select from. Click Validate to test the variable, and then Okay to return to Excel. 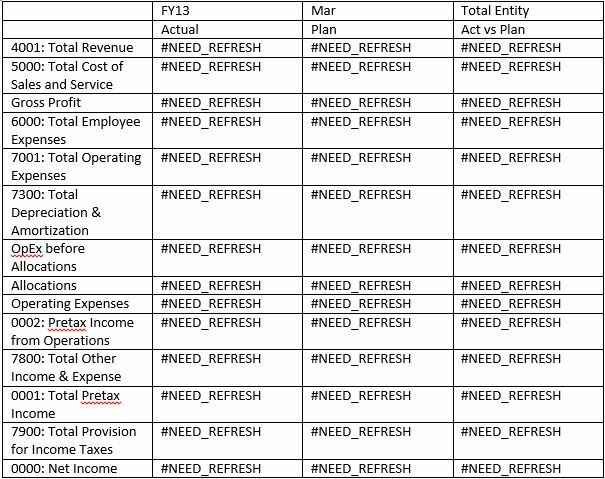 Returning to excel gets you the very familiar ‘#NEED_REFRESH’ text – but clicking refresh brings back the month correctly (and all the data) but you’ll see that the member has not reverted to ‘Apr’ but is instead still showing the HSGetVariable Function! Now updating the sub variable will automatically update this member and therefore the retrieve. Awesome. Let’s use that function to get around the problem! We’ll define a view that uses the variable, copy that across to Word and Bob’s your mother’s brother! 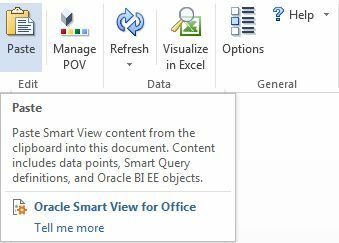 So, back to the query, Smartview tab->Copy, Open Word, Smartview tab -> Paste! And…..it doesn’t work. This does give a bit of a clue as to the work around. There is nothing stopping us from nesting into the period query the function that we used before to query the sub variable. As such, if we replace period reference with a subvariable reference, it should all work. Or at least…it did. Until 11.1.2.5. So yes. I’ve just spent about 10 hours trying every combination of string possible to man trying to replicate my testing from 6 months ago. But it turns out that they’ve changed the way it works, so now it…er…doesn’t work. I’ve replicated it perfectly in 11.1.2.2, but as soon as I move to a later version of Smartview. 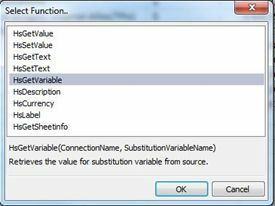 You can still reference HsGetVariable dynamically within Excel – but not within Word. Since I’d written all this down, I’ve decided to post what I’ve got anyways and come back to it once I’ve found another hack for it. If anyone had any ideas – please leave me a note at the bottom! So – after some Jonesing (wait, wrong link ) from certain people, I’ve finally bitten the bullet and am writing some thoughts down. 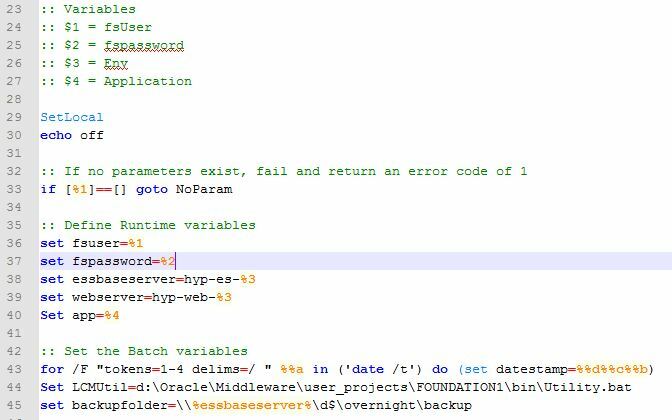 The intent of the blog is to be full of useful insights on design principles, efficient coding and detailed optimisations to make best use of the Oracle Hyperion suite. In reality it’ll probably be full of bloody-minded hacks to make it all work. The road to hell and all. And now Ladies and Gentlemen. Let’s start the show.